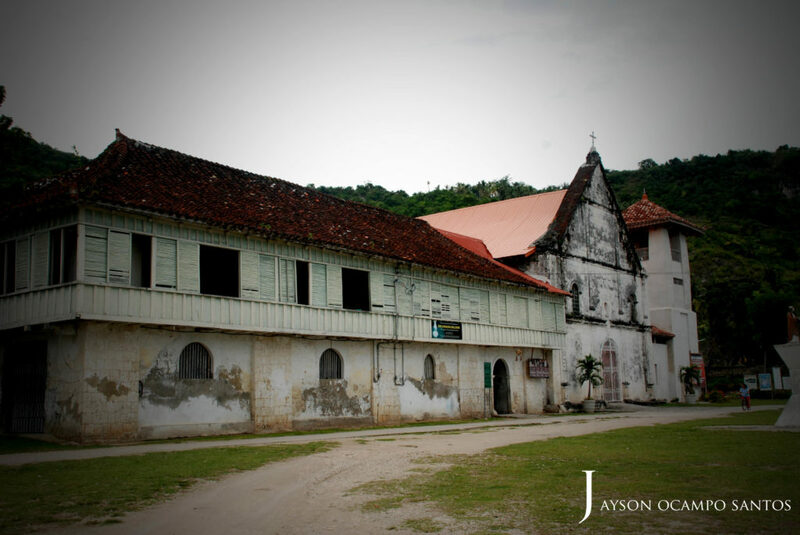 In surveying the Augustinian contributions in Cebu and in the Philippines, we cannot forget the tireless efforts of Fray Julian Bermejo, OSA in the town of Boljoon and its neighboring settlements. He was hailed by the old natives as “El Padre Capitan”. However, more than being el capitan de los baluartes de Boljoon and a spiritual leader, he was also a great social trailblazer and a literary man. Fray Julian Bermejo came to the Philippines in November 1896. In the Catalogo of Fr. Elviro Perez, OSA, however, his name is included as one of those friars arrived during the wave of 69th Mission in 1797. He was a native of Pardillo, Ciudad Real, Spain and was born in 1777. At a young age of 20, Fray Bermejo braved the Philippine mission shortly after his religious profession as an Augustinian in July 25, 1793 at the Colegio de Valladolid. Arriving in Manila, Fray Bermejo, spent the rest of his ecclesiastical studies at the Monasterio de San Pablo (the present San Agustin Monastery, Intramuros, Manila) and then went to Cebu and studied Visayan dialect at the Convent of Sto. Niño (now the Basilica del Sto. Niño de Cebu). A newly ordained as priest at that time, the enthusiastic friar was assigned as parish priest in Boljoon, taking possession the parish with intervals, from 1802-1808, since he was also, according to the Catalogo, assigned in Argao between 1802-1804. He was in Boljoon until 1808; then followed by 1829-1830; 1839-1842 and then 1846-1848. In these intervals, Fray Bermejo was also appointed head of a council (prior vocal) in 1821; a Provincial councilor in 1825 and Prior of Sto. Niño in 1825-1829. In 1837, he was elected a Prior Provincial of the Augustinians in the Philippines but subsequently renounced the office, after two years, due to his health. 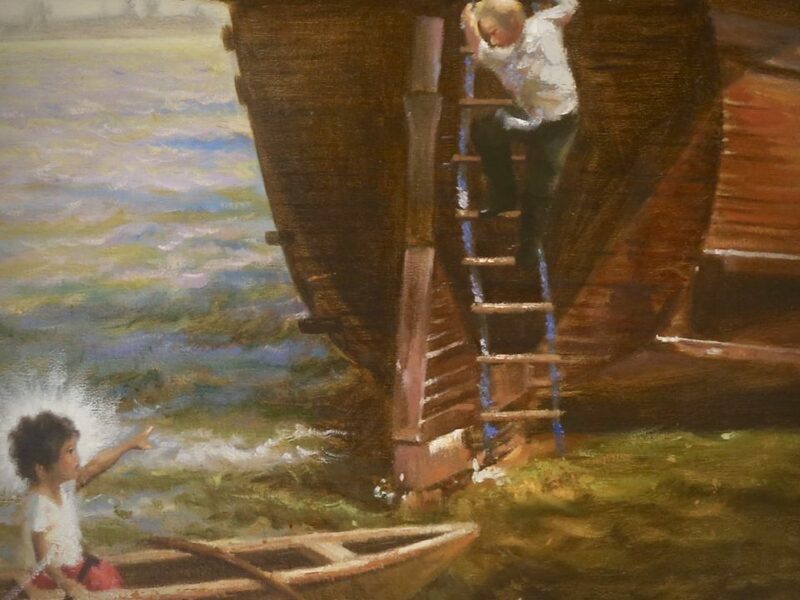 But, perhaps, realizing that he was called to serve at some other aspects of the Augustinian missions especially in his pastorate in Boljoon. Hence, because of this, he was re-appointed as Prior of Sto. Niño but eventually in 1839 returned as parish priest of Boljoon until 1848. We remember Fray Bermejo as the builder of the defense system in some parts of southern Cebu originating from Boljoon itself. It stretches some 96 kms. from Tañong (Santander) to Sibonga and extended to Carcar. It earned him the legendary title “El Padre Capitan” because of his genius in devising the defensive and offensive systems to oppose piratical incursions of Muslims of Mindanao. We have to take note that Muslim incursions were very common sometime between 16th and 17th centuries in the Visayan inter-island. Aside from Cebu, notably, southern towns of Panay also were infested by regular piratical attacks. Consequently, Fray Bermejo was prompted to plan a protective strategy when he arrived in Boljoon in 1802. 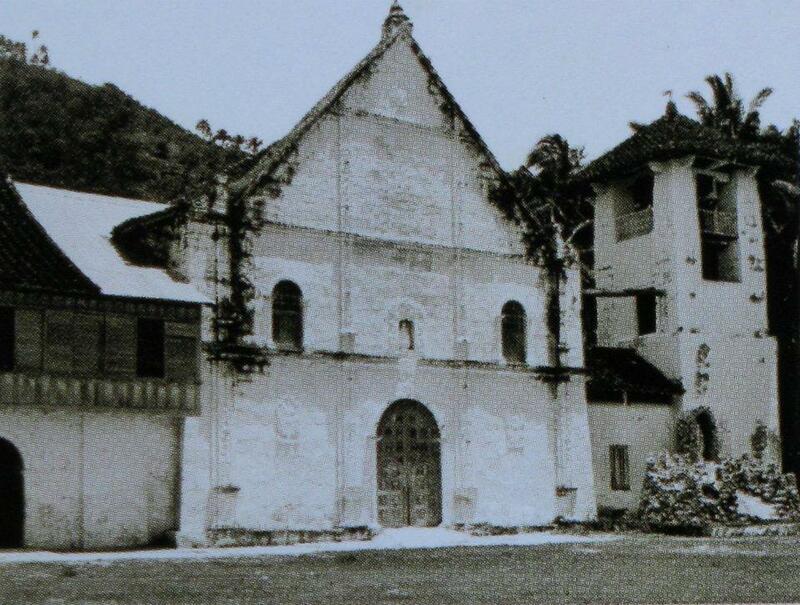 With the church still unfinished, he however took up first the construction of a fort surrounding the church complex. The surrounding fort is framed by four fortifications which would serve as its lookout. One of these bulwarks, completed in 1808 is still standing near the sea. It is called “el gran baluarte” (it is also known among the locals as “dakung balay”) and it is a two-story block served as look-out, an ammunition storage and a prison cell. Outside Boljoon’s fortifications, Fray Bermejo also encouraged neighboring towns in building other watchtowers which stretch as far as Carcar town in the north of Boljoon and at the southern stretch towards Santander town. Remarkably, extant relics of these watchtowers can still be seen near southern Cebu coastlines. What was the friar’s great contribution is on rallying the natives in this vast stretch as a unified “defense wall” by using these “bantayan” or watchtowers in coordinating properly the defense from one post to another. He strategized telegraphic communications to warn the people by raising flags on the watchtowers so that they can be alerted and prepare for imminent attacks. He also rallied the natives to the offensive by devising the same defense stretch to position “barangayan” sea crafts which would allow counter attacks by the natives against the Muslim pancos (Muslims’ own version of sea craft). In the reports, Fr. Bermejo and the natives have really mastered and had won many times in the fights on the waters of Boljoon and as far as the island of Sumilon. The Catalogo of Fr. Perez has affirmed the anecdote that Fray Bermejo and the native warriors, when preparing for offensive attacks, seemed they were going to a fiesta. It only reflected how the friar had successfully engaged the people to internalize a unified force to protect their towns and residences. His call to defend his constituents was also heard in the neighboring islands. 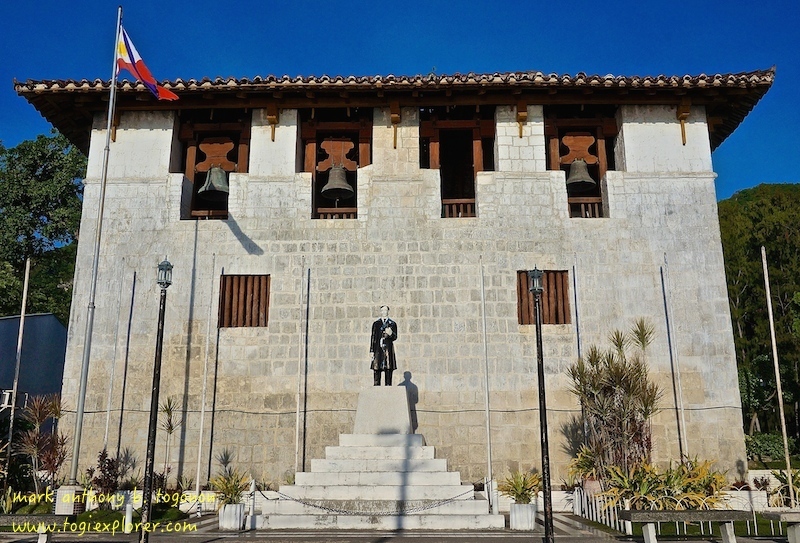 To note some of these, Tanjay, Amlan and Sibulan had also their watchtowers as well as in Siquijor and Panglao islands. Fray Bermejo, perhaps few of us know, had led also his parishioners into economic progress. Aside from being a friar-captain of the fortress, he also encouraged the people, during the leadership of Gov. Gen. Pascual Enrile, to plant cotton. Cotton was the economic emphasis during the time of Enrile sometime in 1830’s. As reflected in his correspondences with the Governor General, Fray Bermejo taught Boljoon natives to plant different kinds of cotton. Notably, he planted varieties of the plant from Fernambuco, Brazil, and local ones from Ilocos and Balayan, Batangas. He also introduced other agricultural plants like coffee and cocoa. As an offshoot from his great contribution to the social upliftment, Fray Bermejo had become a lover of botany and therefore, had led him to support a fellow brother in the Order, Fray Manuel Blanco, in the latter’s study of Philippine flora. Fray Bermejo used to send some species of plants for the Flora de Filipinas of Fray Blanco. In his familiarity with native species of plants, he sent also to the Governor samples of Hanlilimocon, Balao and Cunalaon plants and he enumerated the products which can be yield from these for everyday purposes. Fray Bermejo had contributed also in the field of literature with various topics from religious literature to practical guidebooks. He translated into Visayan a religious manual entitled “Pagtolonan sa manga manabang sa pagtabang nila sa paganac, guihuar sa binisaya sa Padre Fr. Julian Bermejo” printed in 1838. He also translated parts of the “Lagda cun salugdun sa taoung visaya sa pagkamaligdon, etc…” a guidebook for a Christian living with appendages from the meditations of St. Teresa of Jesus and a guide for confessions printed in 1893. He wrote the “Novena sa Patrocinio sa mahal nga Virgen”, 1861 and “Novena ni San Gabriel Arcangel”, 1869. He also wrote, contributing to the preservation of Cebuano dialect, the “Arte compendiado de la lengua cebuana…” printed in 1894. He was also credited for a “Mapa general de las almas que administran los PP. Agustinos en estas Islas Filipinas…” in 1835. Fray Julian Bermejo finally, on January 1, 1848, after serving quite long, retired from his post as parish priest of Boljoon. He died in the Convent of Sto. 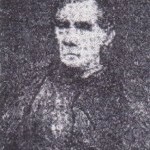 Niño on April 30, 1851 at the ripe age of 73/74. For further inquiries regarding the 450kaplag you may visit us in our 450Kaplag Office at the Basilica Minore del Sto. 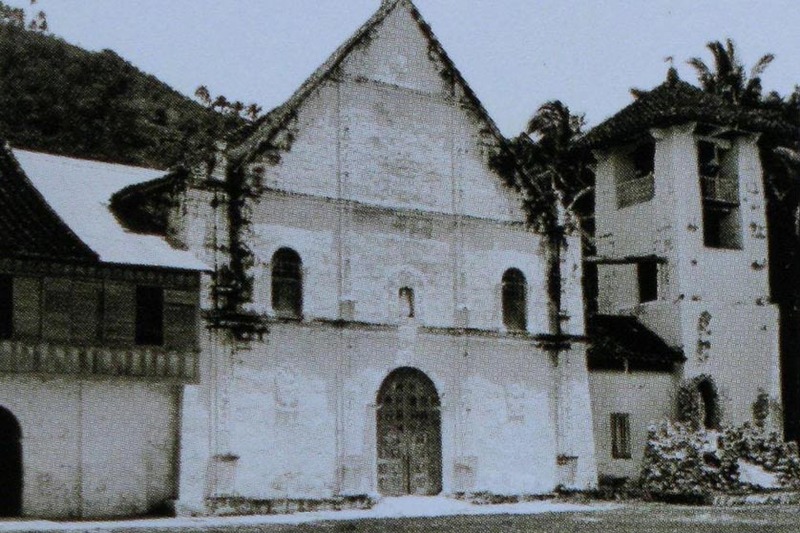 Niño Convent (near the Adoration Chapel). Our contact number is 255-66-99 loc. 200. You may browse our website at www.450kaplag.com or follow us also in our Facebook page www.facebook.com/kaplag450. 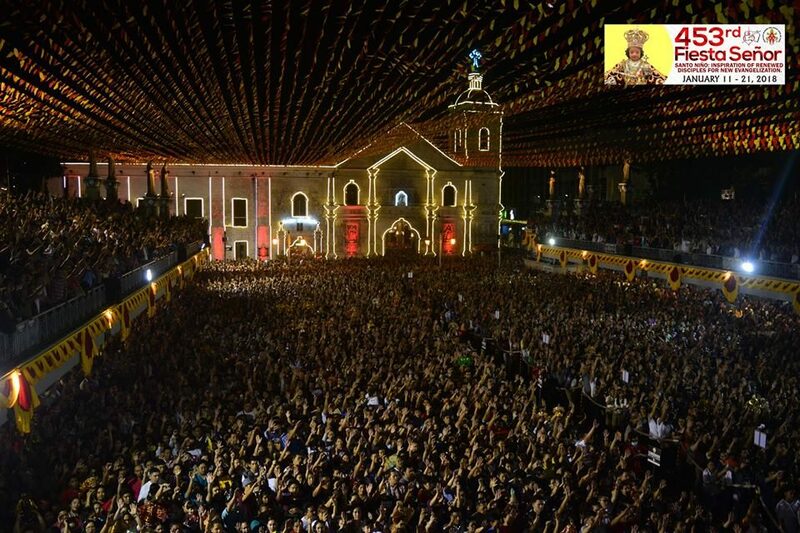 Viva Pit Senyor! Viva San Agustin!